There are only a few shopping days left until Easter (wrong holiday to count down, but there's still a big meal associated with it)! Either way, Sunday's holiday gives us a chance to showcase some special menu items that we don't often feature. First in our lineup is a brown sugar and stone ground mustard crusted spiral ham. These thick slices are topped off with a housemade red-raisin bourbon sauce that is a sweet and savory complement to a seductive ham. One of our classic menu items that we'd previously featured on Saturday nights will make a return appearance. That is our herb-crusted and slow-roasted boneless pork loin. We serve it with a demi glaze and a side of fluffy rosemary potatoes with fresh English peas and carrots. 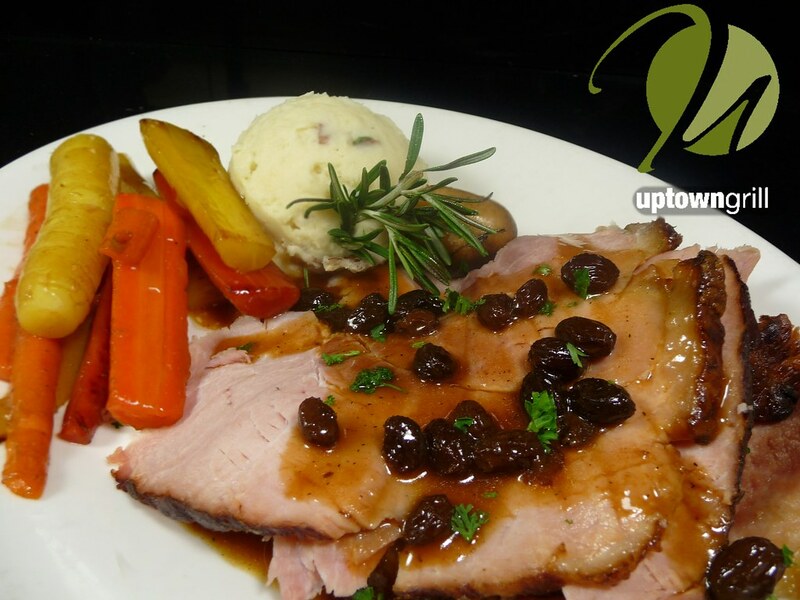 For the traditionalists, we'll feature a menu item that we serve up every major holiday: our slow roasted prime rib. An area favorite, our renowned prime rib comes in either a 12 oz or 16 oz portion with housemade au jus. 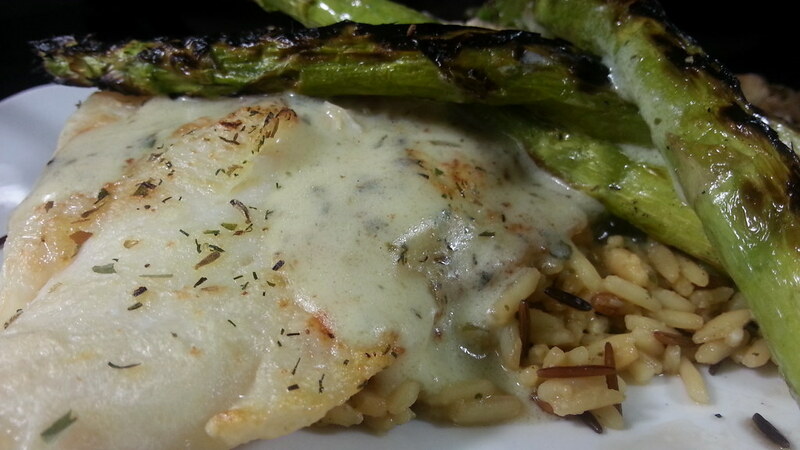 For the non-meat eaters (or someone looking to eat just a little bit lighter), we'll also be serving our grouper oscar. We top a bed of our Uptown rice blend with a broiled grouper filet and top it with REAL lump crab meat, freshly roasted asparagus and a housemade bearnaise sauce. Our last major entree has been on our menu over the course of the last few weeks, and we haven't stopped hearing rave reviews about it from our loyal fanbase. Ryan introduced the Victor Hugo salad in the blog a few weeks ago, and due to the popularity and the demand from our customers, we have kept in on the menu just for Easter. This original Red Door classic was made by Ray's father and uncle. We take freshly chopped romaine hearts and toss them with a creamy housemade mustard vinaigrette dressing. 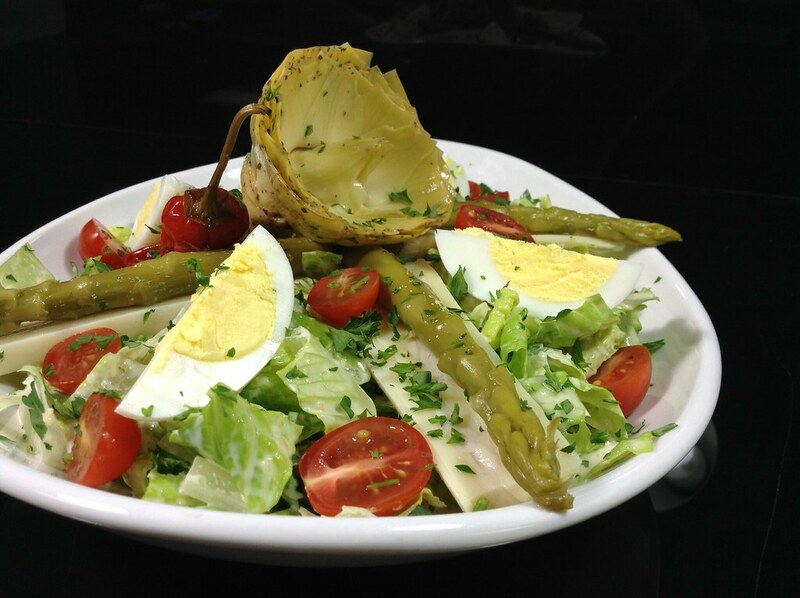 On top of that, we pile the salad high with hearts of palm, artichoke hearts, housemade pickled asparagus, pickled shishito peppers, cherry tomatoes, and hard boiled eggs. No matter what you're feeling for lunch (or dinner since we're opening from 11-8), there is sure to be something that fits your appetite. While these are just a few specials to grace our menu on Easter Sunday, our full menu will also be available all day. Reservations are still available for Sunday, but spaces are filling up quickly. Give us a call soon at 815-224-4545, or make yours online! You won't want to wait until the next holiday to give these specials a try!